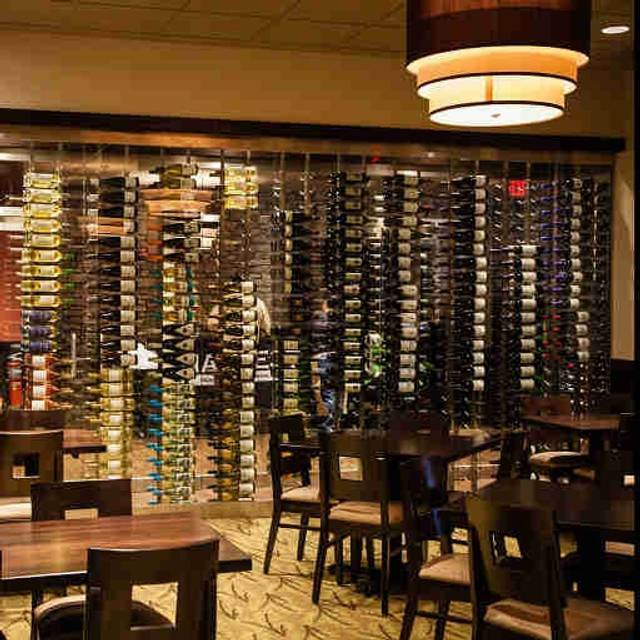 Host your special event at Harvest Seasonal Grill & Wine Bar Moorestown! 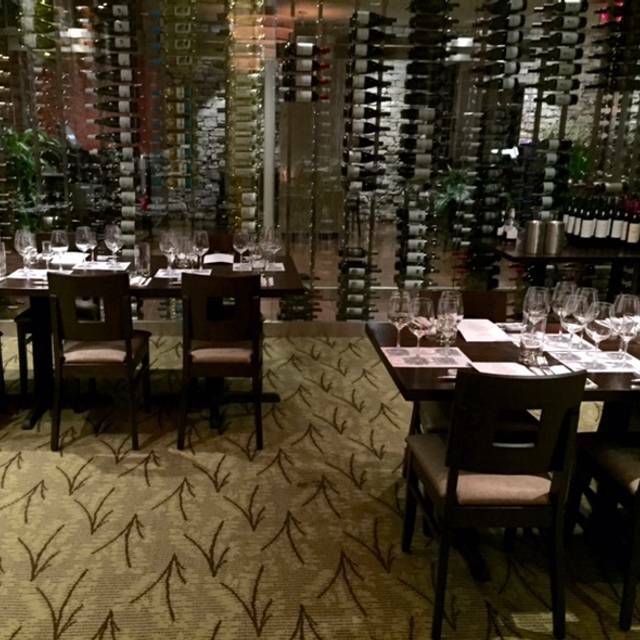 Our elegant and cozy private dining room is the perfect space to celebrate a birthday, bridal shower, rehearsal dinner, or Sunday brunch. Host corporate events to wow clients in an upscale, yet casual atmosphere with seasonally inspired dishes featuring fresh, local products. Contact us directly at 856-581-0044 or email Jennifer (jharris@harvestseasonalgrill.com) for more details. Harvest Seasonal Grill and Wine Bar offers an under 500 calorie, seasonally changing, local farm-to-table menu, 50+ wines by the glass, seasonal cocktails and local beer. Every three months, Harvest Seasonal Grill and Wine Bar changes the menu to reflect the change of the seasons. 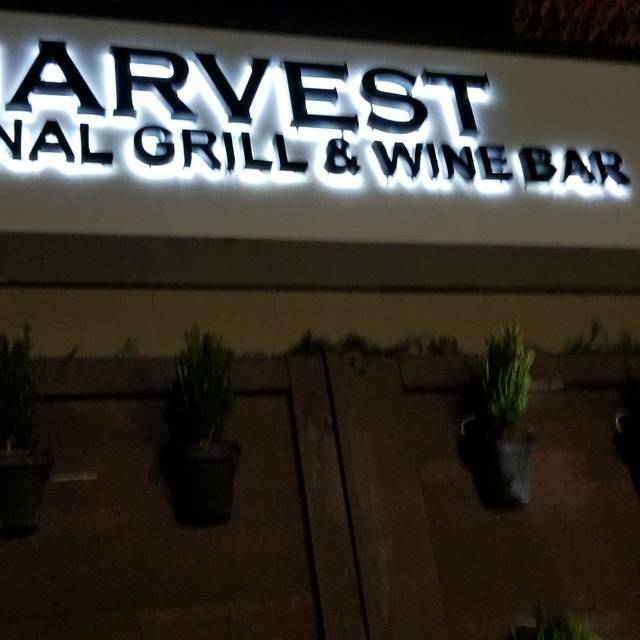 Harvest Seasonal Grill and Wine Bar works with over 75 local farmers to source the freshest and highest quality products available. 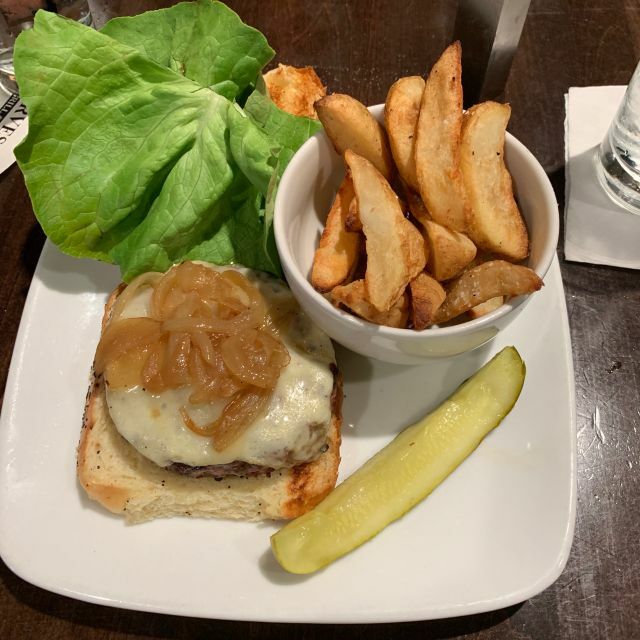 At Harvest Seasonal Grill and Wine Bar the use of sustainable, organic and healthy ingredients doesn’t stop with the menu. From the organic cleaning products, to our recycled glass bar tops, and from our recycled paper products to the ink on our menus, we are a truly a green concept. Great menu, meal and service from Ashley and Kat. They were efficient and friendly. We always enjoy our meals here. First visit and we really enjoyed it. The food and ambience was great. Excellent menu selections and you feel good about eating there. We are fans of farm to table concept so this was a great experience. Highly recommend. Weird it’s in a mall: but hey, Moorestown Mall needs something to attract people! Healthy food doesn't have to be bland and boring. And this chef knows the secret to bring out the best flavors in farm to table cooking. It was a lovely day, but outside patio had not been set up for diners. This would have been quite enjoyable. Our waitress was very attentive with water, but missed a few notes at the beginning. Love this place. Fresh many vegetarian and vegan options. Never a disappointment. Excellent service and food. Judy is awesome. Had her for a server twice and is is the best waitress I ever had service a table. Always fresh food. A bit expensive but it is worth it. I enjoyed the ambiance and the food, but i thought it was way to pricey for the amount of food you get . I though our waitress was great. not a fan of the desserts. Always a delight in every way. Excellent food - fresh ingredients and interesting preparations. Although there were many selections under 500 calories, I was a bit disappointed that most of the ones I was interested in were over 500 calories (and didn't have an actual calorie count listed) - but still, the selections were healthier and the portions more reasonable than most restaurants. Service was also top-notch. Lunch with friends of my wife’s. Our friends had not been to Harvest. They thoroughly enjoyed it as well as we always do. 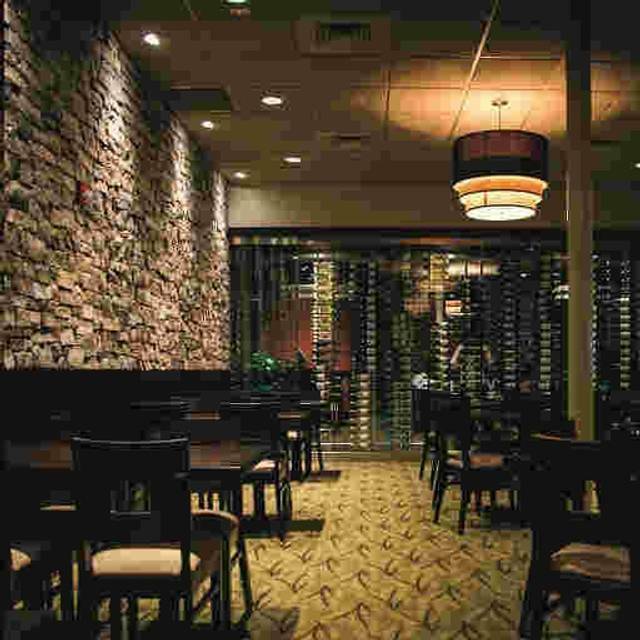 Thank you to Harvest Moorestown for the great service, food and ambience! Food was fresh and exceptional. Staff attentive. They don’t try to rush you out. Disappointed....after dining here on numerous occasions, this was one dining experience i’d like to redo. For the first time, my husband and I sat at the bar. I ordered a featured white sangria and received a 1/2 glass if ice with contents that did not even cover the ice. The drink seemed to be missing something, so we asked the 2nd bartender and he stated that its was a 4oz pour over ice. I thought that odd since most sangrias are brought up to the top of the glass with some sort of mixer. Then I saw others with just glasses of wine (no ice) that had a more significant pour than mine. Then I watched the bartenders make the rose and red sangria pours for other patrons and sure enough those glasses were filled to the top. Turn off #1 for me. Ordered two appetizers, the avocado toast and fired broccoli. These were very good and were more in line with what I would have expected given my previous visits. Although I did not order another sangria (i opted to stick with water), we thought we’d give the main entrees a try. Well my husband ordered the ramen dish and added flat iron steak to be cooked medium and i got the sesame chicken. The flat iron came out rare (turn off #2) and i’m not sure whether my sesame chicken was really sesame ( i couldn’t find any sesames) or teriyaki. My husbands steak had to go back and i was very disappointed with mine. 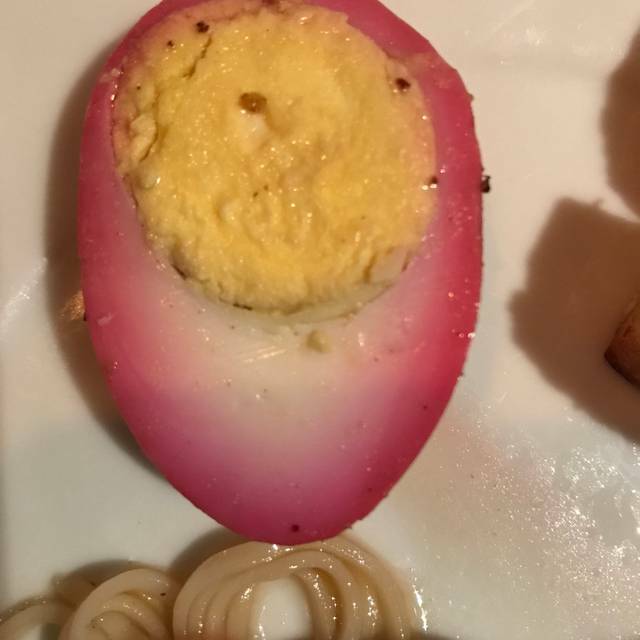 It was extremely sweet and i only ate 1/4 of it (turn off #3).The ramen dish was very good after the steak was recooked. I would have preferred a better dining experience as we have experienced in the past. The bartender did remove the sangria drink from the bill but it was a little too late to salvage the experience. We went out for date night. Mahi mahi fish tacos were great! The salmon entree salad was good, my partner did not realize that the salmon would not be mixed in with the salad. Rosé sangria was a Little sour. Great service, Aubry and Amanda make the best martinis! I've been to the Moorestown Harvest many times. This visit was a little off or maybe they have some kinks to work out on their new Spring menu. All of our flatbreads were fantastic, as was the steak entree. However, the pea ravioli ingredients were very good but the dish was dry. When we told our server about this she said it should have included a cream sauce; ours did not. The Spring bourbon cocktail tasted of only bourbon; none of the other stated cocktail ingredients could be tasted. 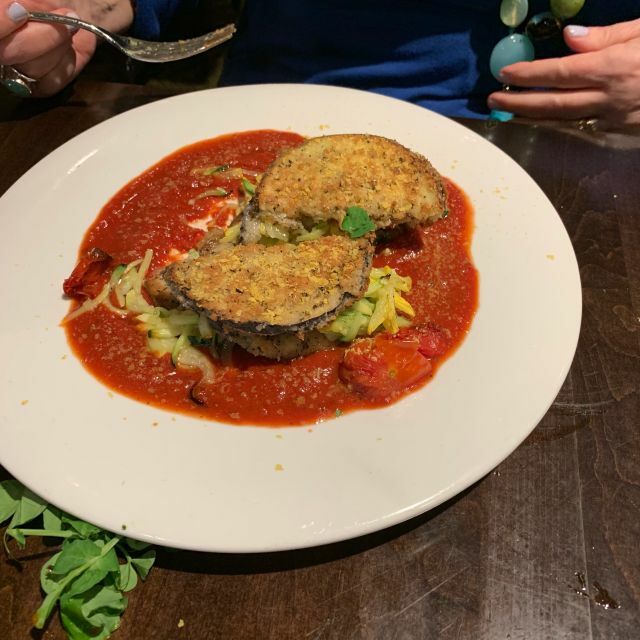 But our server very kindly took the pea ravioli charge off our bill. Went for the new spring menu and unknowingly during restaurant week. Place was mobbed, but our reservation assured we were seated on time. Food was not up to usual standards because I think they were just too busy. The gluten free flatbread was soggy, the scallops were slightly underdone and the risotto was more like rice- not creamy at all. But I’ll chalk it up to restaurant week! Curtis was our waiter again and he is really great! He’s the best! 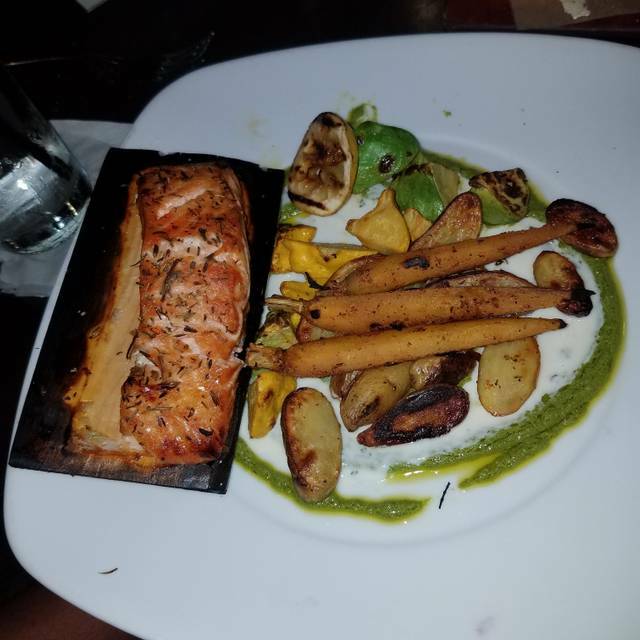 Food was not as good as previous visits. Restaurant was very busy and very noisy. Great place for a business dinner. Samantha was an excellent server. She was extremely patient, professional, and kind. She was very attentive and competent. It was a great meal and a great time. The bbq vegan burger was very tasteful. Service was exceptional. Been here several times and have never been disappointed. Our server Katie was fabulous. She was very personable and attentive. The food was very good and everyone's order was just right. We especially love the flatbread apps and the desserts as well. The noise level is very loud so we requested the table behind the hostess station. That was a much easier place to talk with our large group. 👍🏻 fantastic dining and food. Very nice decor and good service very classy. Service is consistently very slow. Wonderful people, very accommodating, but really slow. Omg best strawberry chicken spinach salad ever! The service and food was exceptional! No complaints! Noticed that hostess was taking a lengthy phone res as we waited to check in. Otherwise service was superb and food fantastic as usual. While the food was great, as usual, we were disappointed in the service. I love this place. The atmosphere is great for a night out with friends or a much needed “date night”! My favorite thing about this place is the “farm to table” food options. All the food tastes delicious and so fresh. I also love that the menu is pretty much made up of options under 500 calories. 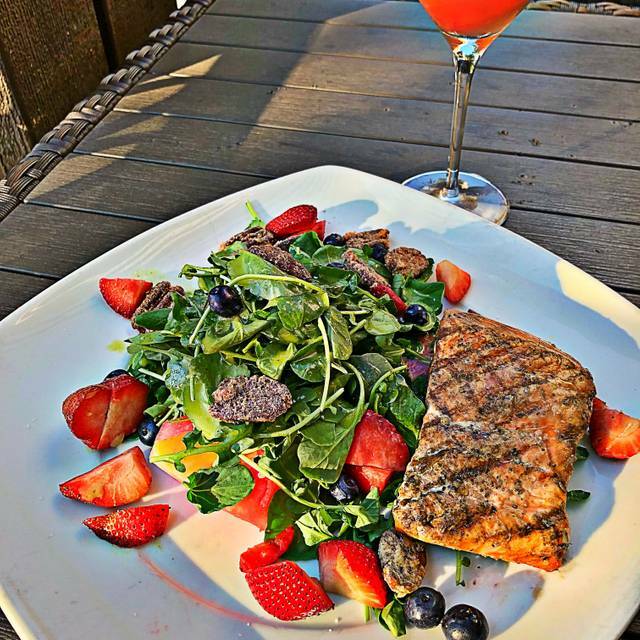 With beach season around the corner I can go out, enjoy great food and drinks, and not feel like I ate SO much. I would recommend this place to all! Our waitress was amazing but it took the kitchen 1 hour to produce a cheese board appetizer. What took so long? Hamburger and sesame chicken were tasty.